: Multnomah Falls is one of the tallest year-round waterfalls in the U.S.
Plummeting 620 feet, in two different sections, Multnomah Falls is the most-visited natural recreation site in the Pacific Northwest with more than 2 million visitors each year. Traveler Alert: Some areas of the Columbia River Gorge were impacted by the Eagle Creek fire of 2017. Before you head out, learn more about what’s open and closed on the Historic Columbia River Highway and check with USFS for the most up-to-date information on trail closures. 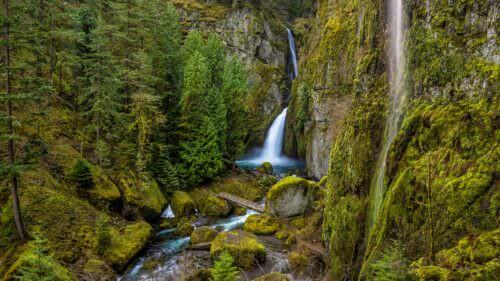 Fed by underground springs, the flow over the falls varies and is usually highest during the winter and spring months. Multnomah Falls offers one of the best places in the Columbia River Gorge National Scenic Area to study geology exposed by floods. Six flows of Grande Ronde Basalt are visible in the fall’s cliff face, representing more than 400,000 years of geological history. From the information center, visitors can follow the 1.2 mile trail that climbs approximately 600 feet to the top of Multnomah Falls (Traveler Alert: this trail is currently closed due to damage from the Eagle Creek Fire of 2017). Avoid the crowds. If you go to Multnomah Falls on the weekend, be prepared for a wait. The parking lot is regularly full on weekends and during peak travel season. Go early, late, or midweek. Take the bus. 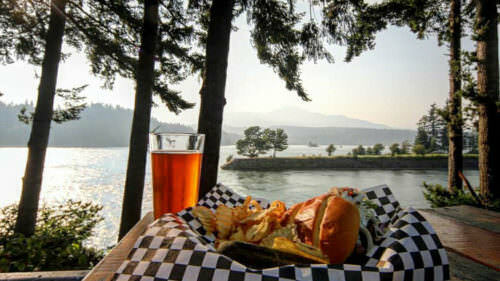 The Columbia Gorge Express bus is an affordable and convenient option for traveling between Portland and the Columbia River Gorge National Scenic Area. During peak times and seasons, board the Express from the Gateway Transit Center, Hood River, or Cascade Locks to avoid crowds and long wait times. Take your time. If you arrive at Multnomah Falls when it’s crowded, take a detour to explore other parts of the Columbia River Gorge while you wait for crowds to disappear. 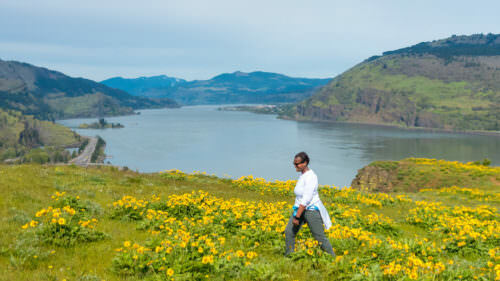 Find inspiration with some of our favorite Columbia River Gorge trip ideas here.